He traveled for more than forty years and visited more than ninety countries. He spoke English, Italian, French and Portuguese fluently and could make himself understood in German, Russian and Japanese. 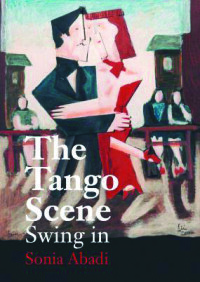 He was a universal man who took the tango from the barrio to the world. He began dancing not too long after he started to walk, and then there was no stopping him: tango, rock, folklore, Latin rhythms, swing. On stage and off, there was no dance he didn’t try. 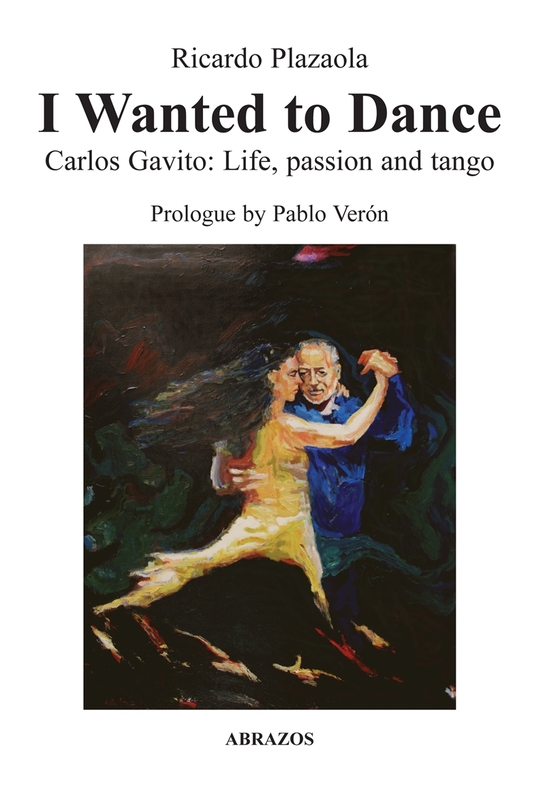 Over the years, he searched for his own place in the dance world, and then his own tango: the absolutely unique style that brought him to fame. The life of this absolutely unique dancer (“the motionless dancer”) is a never-ending list of fascinating –if not astonishing– stories and surprising statistics. Some test the imagination: the number of times he traveled around the world, the number of women he embraced on the dance floor, the number of people that were deeply moved by the grace of his steps. And perhaps another statistic: the number of those people who, when they witnessed him dance, decided there and then that they too wanted to dance the tango. Life cheated Gavito of the few more years he would have needed to achieve the vast recognition he fully deserved. 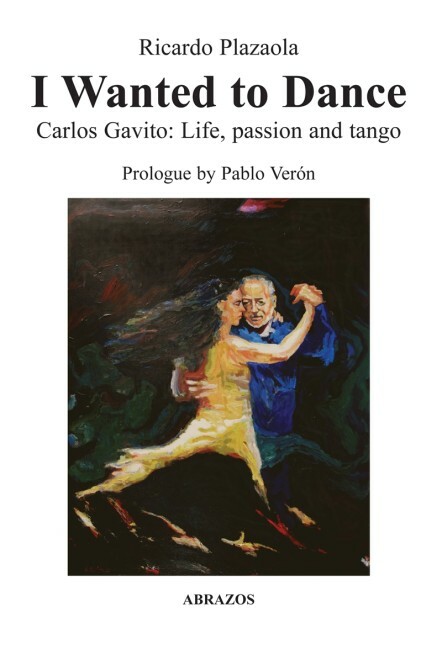 But there are videos and books like this one that will ensure his place in tango paradise. Five years after Gavito’s death, this English translation of Ricardo Plazaola’s new Spanish edition coincides with the year that Argentina is entering into its tricentennial. RICARDO PLAZAOLA (2/4/1951) had a successful career as a journalist. He began in the mid-70’s, working for the newspaper La Calle and then wrote for magazines such as Goles and Siete Días. He then worked for the newspapers Tiempo Argentino and Página 12 and wrote the news for Radio Mitre (that he directed for 12 years) and Canal 9. He teaches in the school of journalism TEA. 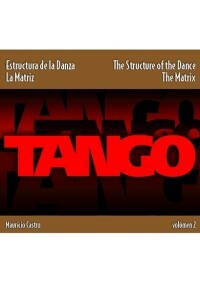 On the radio, he directed the program Bailo Tango [I Dance Tango] dealing specifically with the world of the milongas. When he met Gavito, his admiration was immediate. Soon after came his affection for the dancer. One day, Gavito knew that he didn’t have much time left to relate his ideas and his adventures, and thought that Plazaola was the ideal person to listen to him and to understand him. 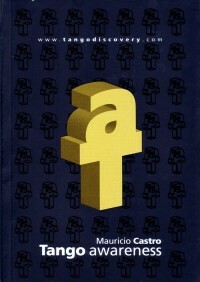 This book is the result of long conversations (“insufficient, rushed”) that Plazaola had with him in the small apartment on Lima Street where Gavito took refuge at the end of his life. KAREN SIMON is a Canadian-trained translator, with a Ph.D in French literature. She has taught translation at McGill and Concordia universities in Montreal, Quebec and has also been teaching Argentine tango since 1992. She met Carlos Gavito in 1996 and took classes with him for several years.